What is the Meaning of the Terms Inscape and Instress? 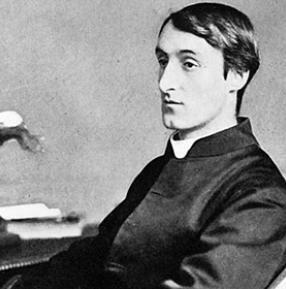 Gerard Manley Hopkins used two terms, inscape and Instress, in his poetry about individuality and uniqueness. Hopkin’s poetry is recitable, yet not conversational. It is formal and rhetorical. By “inscape’ he means the amalgamated complexity of characteristics due to which each object is unique and differentiated from others. Whereas “inscape” stands for the former or focused view. Any pattern that is recognized in the natural world. Just like other Catholic Philosophers, Hopkins also believed that there is an outer world which man is not aware of, doesn’t know about. Man is in the present sense of the world which is realistic. The real shapes of mind according to Hopkins were all concerned with the normal beliefs prevailing in reality and renewability of things and people. He did not try to thaw “nature” into a system of symbols rendering the real world of spirit. What is the Concept of Inscape? The concept of inscape shows the characteristics of Romantic and Post-Romantic idea sharing with “spots of time” of Wordsworth and “moments” of Emerson. However, Inscape is fundamentally religious because according to Hopkins the inscape of a thing shows us how God has created it. Hopkins’ philosophical and critical terminology has the old English roots, but he uses Latinic terms like stress and inscape as suffixes to suit his needs. Wherever he explained, his words, their practicality, details, and compactness became clear and obvious. He intended to restore the power of the English language that it used to have once. This is the reason why his poetry resumes English music’s line where its grammar sequence got interrupted. To many Hopkins seemed to be reaching back while in reality, he meant to reach forward to English poetry. Hopkins wrote his poems for the ideal audience, which it seemed did not exist in his days. In fact, the words, phrases and the local excitement in his poems often pull us away from the poem. The real meaning often is poised over the text, the linguistic surface. 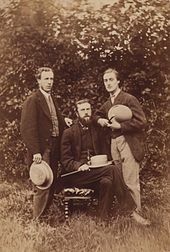 Hopkins’s place in the poetic line is very important and it reaches from the Romantic poets, Wordsworth and Keats through Tennyson and other Pre-Raphaelites and Yeats and the symbolists and finally covers the Imagists and the Ezra Pound of the early modernist movement.